A theme based on Super Mario 64. It is complete, but it needs a little cleanup. (It still looks pretty good though.) Expect a newer version at some point. 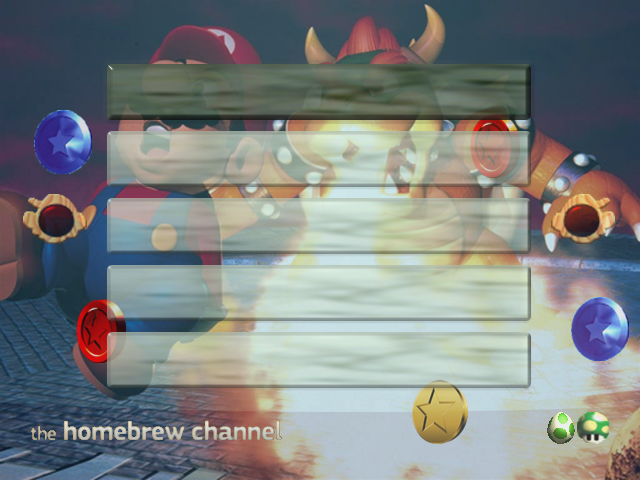 Homebrew Channel Super Mario 64 Theme 1.0 NEWEST!